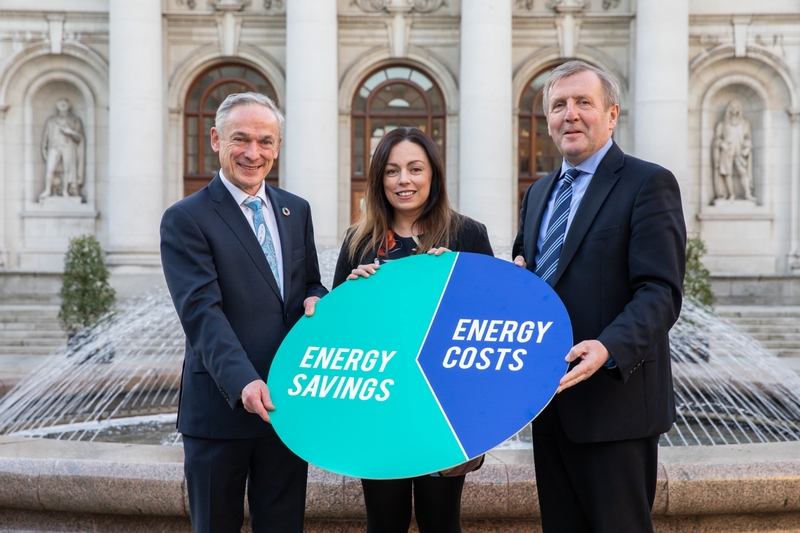 Minister for Communications, Climate Action & Environment, Richard Bruton; Andrea Carroll - SME Programme Manager, Sustainable Energy Authority of Ireland and Minister for Agriculture Michael Creed. Longford dairy farmers are being urged to engage with the SEAI efficiency (Dairy Farm Grant) scheme. Minister for Communications, Climate Action and Environment, Richard Bruton TD today (Monday, February 18) announced funding for energy efficient dairy farm equipment. Up to €500,000 is available for high efficiency milk pumps, saving the average farmer €1,440 in energy bills and 1.6 tonnes in reduced carbon emissions annually. The government are committed to making Ireland a leader in responding to climate change. Minister Bruton recently received government approval to develop an all of government plan, to make Ireland a leader in responding to climate change. The Plan will have actions across all areas such as heat, electricity, transport and agriculture according to strict timelines. The Scheme is administered through Sustainable Energy Authority of Ireland (SEAI). Up to 40% of total technology and installation costs may be covered by the grant. The technologies covered under the scheme include Variable Speed Drive (VSD) Vacuum Pumps and VSD milk pumps. The Dairy Farm Grant complements the range of investment items available under the suite of seven measures that form the Targeted Agricultural Modernisation Scheme (TAMS II) available from the Department of Agriculture, Food and the Marine (DAFM). Grants under the TAMS scheme can also include equipment to drive on-farm energy efficiency savings and the scheme remains open to applications. DAFM and SEAI have worked closely to ensure that their respective schemes are complementary and to give farmers options when considering these kinds of investments.